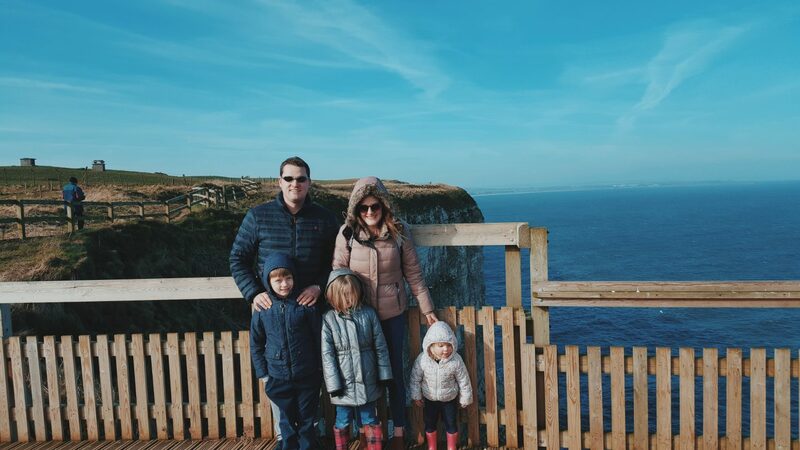 Yesterday morning was a lush day when we took a lovely family walk along the cliff tops at Bempton on the East Yorkshire coast. I haven’t been up there for years, and whilst there was a rather nippy wind blowing, the skies were blue, the sun was shining, and the kids were in great spirits. It was a great moment to share together following a hectic week, just being chilled and having lovely chats! 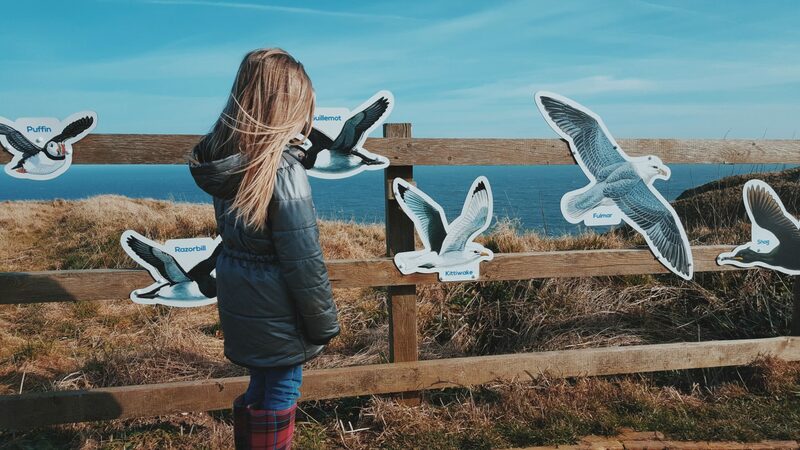 Owned by the RSPB it is a lovely spot to see over the surrounds bays of Filey and Flamborough for miles, and catch a look at sea birds in their natural habitat. 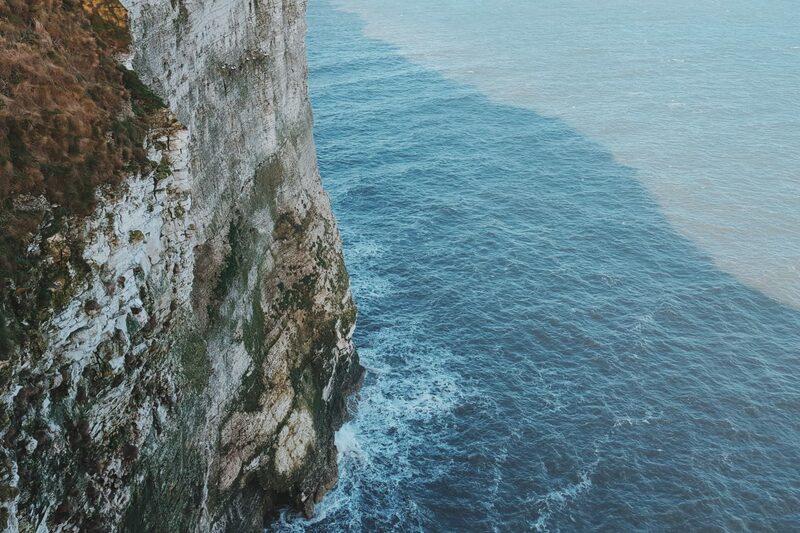 They are over 300 m high and on a clear day like yesterday it just feels like such an impressive spot to be looking way down to the waves below, out to sea, and generally around the coastline! I used to often go as a teen with my own family, and it was great to introduce this beauty spot to the kids! Alice is our main bird lover in the family (though we all seem to love being in nature). “Bird” was one of the first baby signs she mastered, and uses it daily even now. She often will get mega excited when she spots them flying in the sky or walking in the streets, and then points before making the sign. If she is near them then she chases them whilst pausing for a fit of laughter at how funny they are to her! 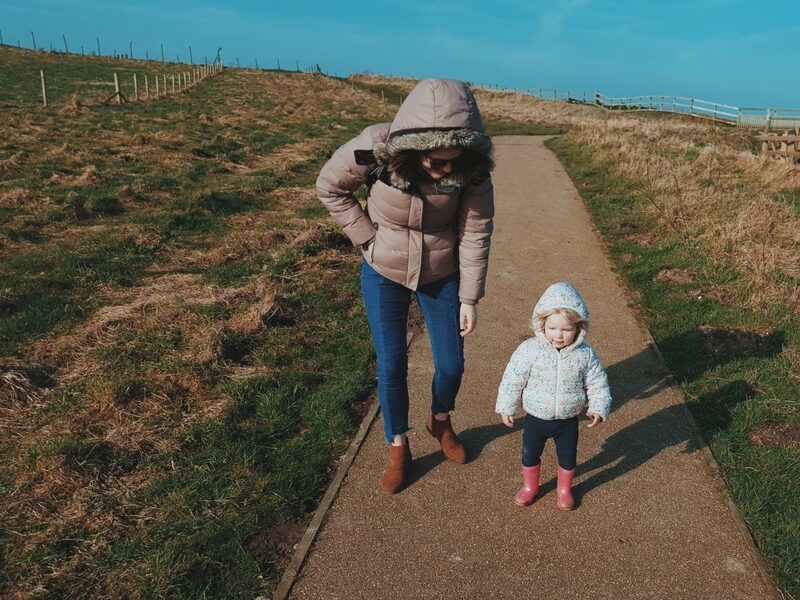 I love seeing their interests and personalities develop, and whilst we all love the outdoors, I love that this is a moment especially for Alice – our little bird lover! 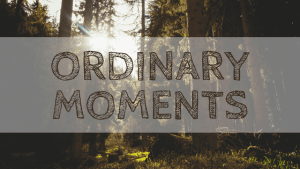 Because the kids love creatures, and we are all great lovers of the outdoors, this year it just made sense for us to join the RSPB and have some lovely walks and up close experiences with nature. I liked the idea of helping preserve these lovely habitats, and that the kids could get a monthly magazine to read about seasonal animals and bugs, and that together we could go on the hunt for more wildlife in our local area. I thought it would be especially lovely in the Summer for our days out, and a great thing for Alice and I to venture out to on school days too. Its a great way for them to grow in awareness of life cycles and things, as well as a respect for nature and wildlife. I like to imagine these up coming ordinary moments, and perhaps her growing excitement to go see the birds and wander the cliff tops of Bempton together with a little picnic! 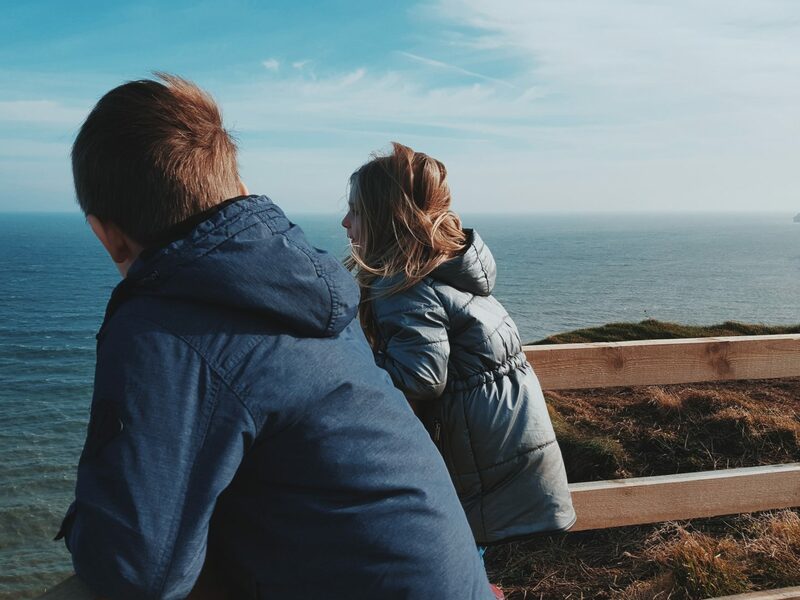 It feels a little strange to be doing with the kids all of the things I enjoyed in my younger days, but then I love it too because it means that in these ordinary moments of family cliff top walks, I can share memories and tales of the ordinary moments of my childhood! 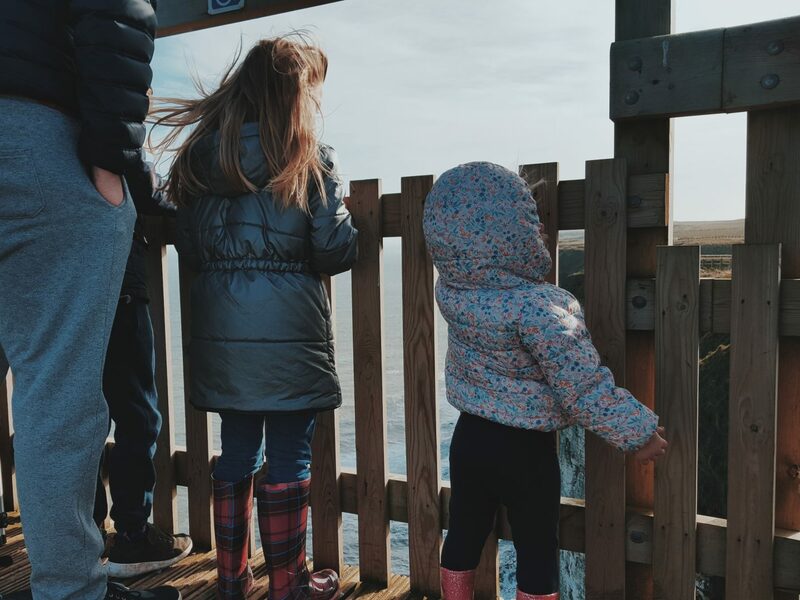 There is a lot of joy and peace in watching the birds and staring out to sea on a sunny day, and doing that with our little faves made for such a beautiful and relaxed morning together. The kids loved running and exploring, looking at the beautiful views and spotting birds! We cant wait for Summer when we can spend more hours exploring the coast and beauties of RSPB spots around us locally and further afield. The kids are so excited to go spot some puffins and invest in some binoculars, and I look forward to more moments where we wander along chatting and enjoying the outdoors together on sunny Saturday’s (or even midweek!)!! 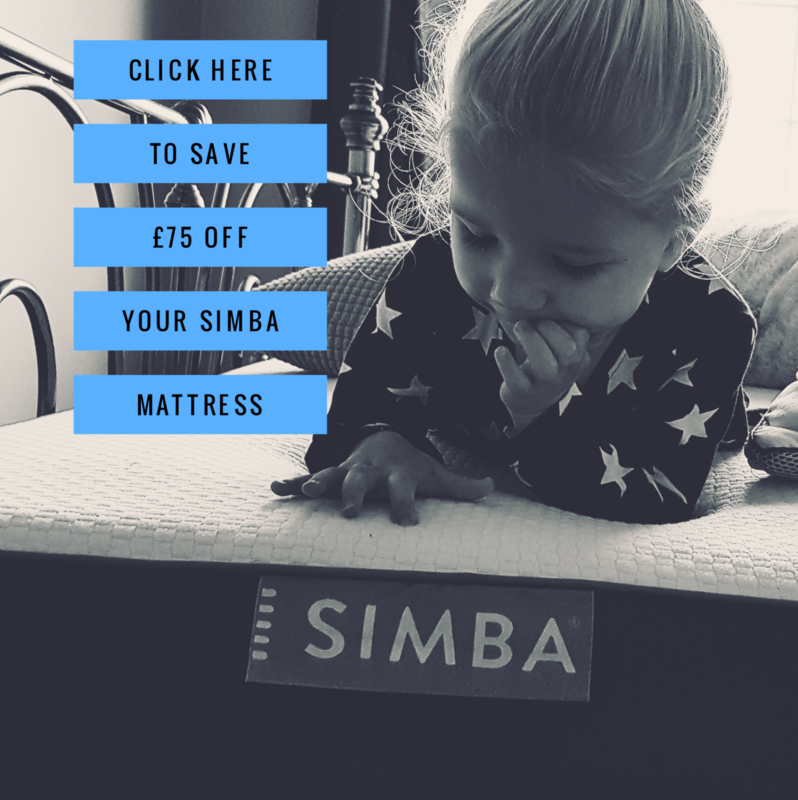 Next Post My Life as a “Stay at Home Mum”! What a great family day, and that looks like a lovely picnic spot too.